The Zaar is one of Heritage's most versatile collections, with a choice of various products and sizes. The clean lines create a contemporary look in any bathroom. 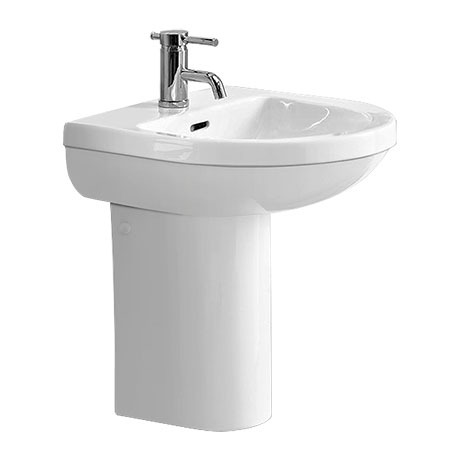 This stylish basin and semi pedestal is available in a single tap hole only and is constructed from the finest vitreous china. Heritage back all their sanitary ware with a lifetime guarantee. Images are for illustrative purposes. Tap and waste sold separately.